Have broken drain lines? 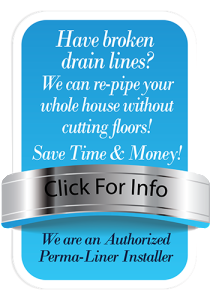 We can re-pipe your whole house without cutting floors! Thank you so much for your help and for being a honest businessman. You saved us Thousands of dollars and we are so thankful that we called you company. We will recommend your company to everyone that we know. Thanks again! Thank you Lou and the crews. They are the only Company that came out and actually showed me what my problems were. Did what they said they would and let me watch them video every step so I know they did exactly what was needed. I got 3 bids. One was going to cost me 20000. Another 5000. Lou saved me over a thousand dollars with no damage to my house and lots of extras on top of giving me a ten year and a fifty year warranty!!! This Senior woman will always have them do my work and all of you should too! Thanks Gem Statewide Plumbing!!! 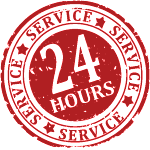 Incredible confidence whenever I need this long term plumber to provide a variety of services for our rental inventory, both seasonal and annual accommodations. Highly recommended for any need to anyone in the south County and Charlotte County area. Great value, professional staff and fantastic leadership. June 8, 2015 – Elaine Dexter, Property Manager, MS&CO Rental Division. Just had another great job completed by Gem Plumbing. This time we had a full Replumbing and the guys were professional, went above & beyond to make sure everything was perfect, and left no mess. Thanks Lou! These guys are the best! Fast, friendly service, and a quality job. 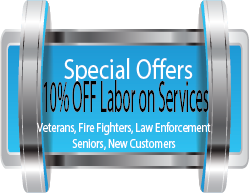 I have had the pleasure of having a working relationship with Gem Statewide Plumbing since 2009. Gem provides quality work and gets the job done in time. If you need a plumber don’t call anyone else or you’ll be cutting yourself short! Thank you for coming right away since my Mom had just come out of hospital. Great job you guys rock! I cannot say enough good things about Gem Statewide Plumbing. Everyone there went above and beyond to finish my job. We had repeated issues with the building inspector in my town, including him adding new requirements to the job with every inspection. Lou and company never made it difficult for me, and got everything done exactly as asked. They did everything quick, for an unbeatable price, and the work looks flawless. I highly recommend them to anyone needing a quality plumber. Copyright © 2016 Gem Statewide Plumbing. All Rights Reserved.